Nepal is facing the another crisis -the economic blockage of India to the Nepal due to the unsatisfactory of Indian government to the constitution of Nepal. The India wants to show its influence over Nepal, it is willing to run the government of Nepal according to its direction which is not tolerable for the freedom loving people of Nepal who till today not accepting the foreigner control. The gateways to Nepal has been closed by the Indian police in the name of security and the order from the above. Some goods has been entered but the essential goods and especially the control over petroleum product has till going on. It has causes the shortage of fuels in Nepal that greatly hampered the transportation sector, industries lacking the raw material, agricultural sector is also greatly influenced as farmer are not able to irrigate the field due to lack of diesel for running generator, tractor cannot be used to produce the final agricultural product and can’t transported to sell in market whereas the people in the remote have no access to food products and essential goods because of the lack of fuels people themselves has to carries the goods. Many of the goods also is being shortage in the market which are imported from the India. 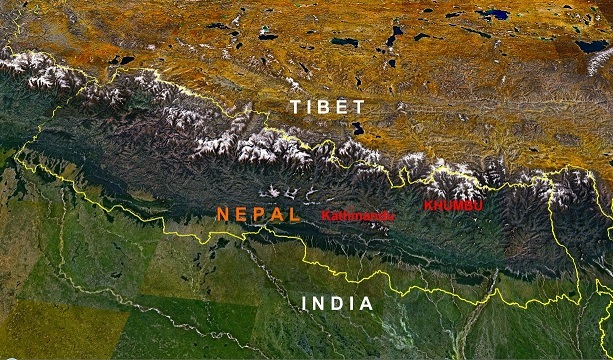 It shows that Nepal is not only land locked but also India locked country as India surround Nepal from three direction and has good access to this country but towards the northern direction there is China which is blocked by great Himalayas and mountains. Nepal has not made good economic relation to the China due to geographical structure and GoN is directed by GoI. Nepal can bring the petroleum products and other essential things from China but Nepal is more dependent on a single country that don’t follow the international laws and treaty.